Charity Katanga: used and dumped like a prsotitute? 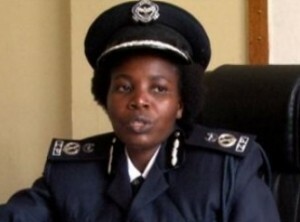 Lusaka province police commissioner Charity Katanga has complained that she feels used ‘like a prostitute’ by President Edgar Lungu who made her act unprofessionally in favour of the PF with a tip that she would be made Inspector General of police at an ‘opportune time’. Following Stella Libongani’s dismissal early this week, President Lungu elevated Kakoma kanganja and Eugene Sibote as Inspector General and Deputy Inspector General of Police respectively but according to sources close to Katanga, she has been sidelined by Lungu. The source said that Katanga’s alliance with Lungu started when she was in charge of Southern province and Lungu as home affairs minister ‘pulled the strings behind the curtains’. “She complained bitterly. If you recall she has been at the centre of brutalising UPND, firstly in Livingstone then recently in Lusaka. She revealed that all her brutal acts and abuses have been orchestrated by Lungu who promised her that she would be rewarded as Libongani’s replacement. She was in fact releasing some dossiers against her own boss to the President but I think the commander (Lungu) doesn’t just trust her,” said the source. Meanwhile a State house source has disclosed that Lungu is considering retiring Katanga because he believes that she is a threat to security after dribbling her. Like many other people the government systematically gets rid of, she may also be shunted in foreign service.